Cobalt ferrite nanoparticles were synthesized by employing chemical co-precipitation technique. 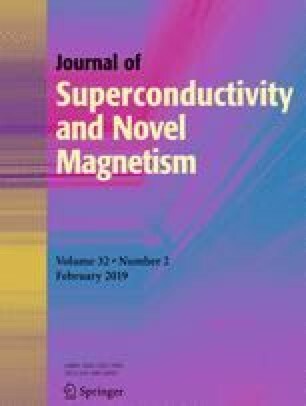 The structure, morphology, elemental composition, and magnetization studies of cobalt ferrite nanoparticles were carried by XRD, FE-SEM, EDS, and VSM techniques, respectively. Rietveld refined XRD pattern exhibited the single-phase cubic spinel structure with Fd-3m space group. FE-SEM images indicated some agglomeration of spherical grains which can be attributed to high surface energy and magnetic interactions. Presence of peaks of respective elements (Co, Fe, and O) in EDS spectrum showed formation of CoFe2O4. The M–H loop recorded at 300 K revealed superparamagnetic behavior and explained by fine particles size. The blocking temperature of the CoFe2O4nanoparticles from FC-ZFC curve was found to be 144 K. Cobalt ferrite–ethylene glycol nanofluids of various concentrations 0.0–1.0% in steps of 0.2% were prepared by ultrasonically assisted two-step technique. Thermophysical parameters such as thermal conductivity, specific heat, viscosity, and density were investigated as a function of both volume fraction and temperature. The experimental and theoretical value of each sample was correlated. The thermal conductivity was significantly enhanced with an increase in volume fraction and temperature. The authors are thankful to Professor John Philip, Indira Gandhi Center for Atomic Research Center, Kalpakkam, Tamilnadu, as well as Professor J. B. Naik, Head, University Institute of Chemical Technology, North Maharashtra University, Jalgaon, Maharashtra, for providing thermal conductivity and specific heat measurement facilities.